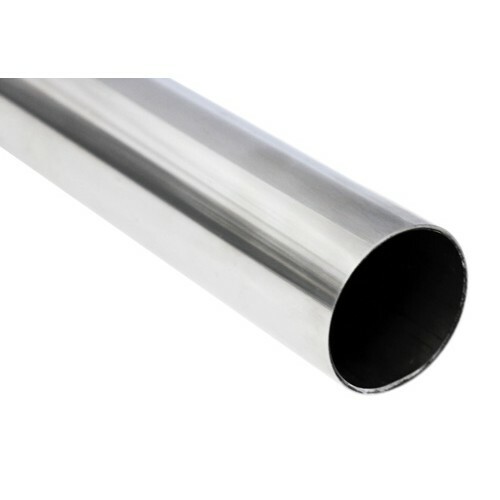 Round handrail tube available 50.8mm, in 1.6mm & 3.0mm wall. Available in mirror or stain finish Square sections available 50.8mm, in 1.6mm & 3.0mm wall. 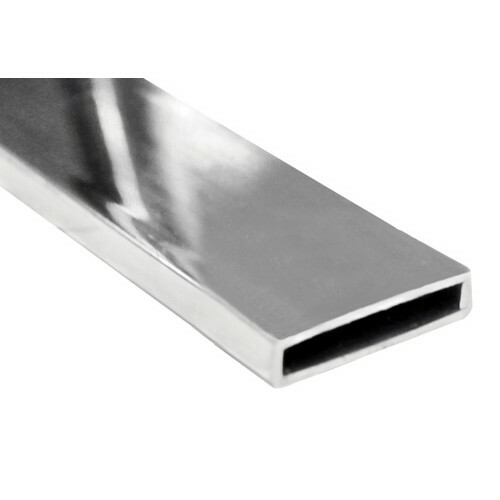 Available in mirror or stain finish Rectangular hollow section stainless steel is available in 50mm x 10mm x 1.6mm, in mirror or satin finish Our in-house fabrication department can customise to suit your project. 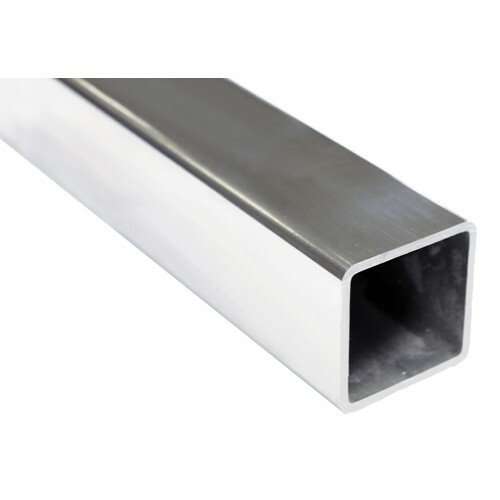 Our stainless steel balcony railing is offered in lengths of up to six metres, and our professional team can easily cut your desired lengths smoothly and precisely for you. 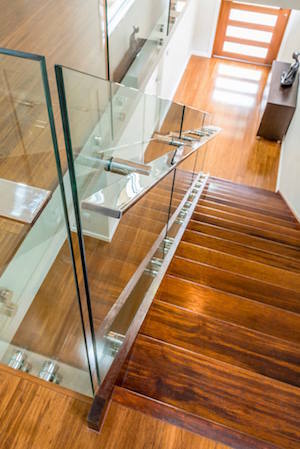 When partnered with our wide range of fittings, you’ll have a contemporary looking staircase made from a low-maintenance, attractive material. Get your next project off to a great start with our collection. Elbow 180 Degree with extended leg in Mirror PolishMiami Stainless high quality stainless steel Elbo..
Elbow 180 Degree with extended leg in Satin FinishMiami Stainless high quality stainless steel Elbow..
End Fitting Flat End Cap to suit 3mm 2" Tube Mirror Polish AISI 316 Miami Stainless End Fittings..
End Fitting Flat End Cap to suit 50x10mm RHS Tube Mirror Polish ProRail AISI 316 Miami ..
End Fitting Flat End Cap to suit 50x10mm RHS Tube Satin Finish ProRail AISI 316 Miami Stainless P..
Handrail Bracket Wall to Flat Handrail Satin Finish ProRig AISI 316Miami Stainless AISI 316 stainles..
Handrail Bracket Wall to Flat Handrail Mirror Polish ProRig AISI 316Miami Stainless AISI 316 stainle..
Handrail Bracket Wall to Round Handrail Mirror Polish ProRig AISI 316Miami Stainless AISI 316 stainl..
Handrail Bracket Wall to Round Handrail Satin Finish ProRig AISI 316Miami Stainless AISI 316 stainle..
Handrail Connector Mirror Polished Glass handrail fitting to suit stainless steel 50 x 10mm handrail..
Handrail Connector Satin Finish Glass handrail fitting to suit stainless steel 50 x 10mm handra..
Handrail Tube 50.8mm x 1.6mm Square Satin Finish AISI 316 Per Metre Please Note: This product can..
90 Deg Joiner Handrail to suit 1.6mm 50x10 RHS Mirror Polish AISI 316 Miami Stainless RHS 90 Deg..
Horizontal Joiner Handrail to suit 1.6mm 50x10 RHS Mirror Polish AISI 316 Miami Stainless RHS Ho..
Horizontal Joiner Handrail to suit 1.6mm 50x10 RHS Satin Finish AISI 316 Miami Stainless RHS Hor..
Joiner Handrail to suit 1.6mm 50x10 RHS Satin Finish AISI 316 Miami Stainless RHS Joiners&n..
Joiner Handrail to suit 1.6mm 50x10 RHS Mirror Polish AISI 316 Miami Stainless RHS Joiners&..